Fishing around for the right wine to have with your dinner? Matching wine and fish? A great meal requires the right drink to go with it, that’s a given. The perfect accompaniment can elevate your dinner (or as we correctly say in the North of England “your tea”) to new heights and give you something truly special. The flavours of the meal and the drink combine to create something wonderful and tasty that will tantalise, tease and tickle your taste buds. That’s the theory at least! Whatever your view, it has to be said, this is particularly true with wine and fish. It is never an easy choice to match your fishy dinner with your favourite wine. Fruity or spice driven wines for example can make a spicy fish dish taste fantastic. A full bodied white Rioja can get a monkfish rocking and fruity Sauvignon really brings out the sea in shellfish. So if you’ve a hankering for fish tonight and you want to find the perfect wine to go with it, you need to be thinking about a few different factors. The traits of the wine itself are important. Some wines are mellow while others are bolder with tangent or higher levels of acidity. Some wines are lush and deep, packed with rich flavours, while many are dry and full of tannins. Fish can have distinct flavours and traits too. Some break apart beautifully and are as soft as butter. Others are more firm with a powerful taste that needs the right wine to match. We can’t list them all but let’s look at three popular choices of fish and explore the type of wine you can select to go with them and why it could be a great choice. Salmon – the king of the fish! We all know it should be 3 portions of oily fish a week, anyone? Salmon is a rich, oily fish with a unique flavour. It’s very distinct, and the texture of the fish is flaky and well cooked breaks apart easily. The wine you choose will depend on two key factors. How you’re going to cook it and the sauce or accompaniment you’ll serve it with? The best wine with salmon that is prepared simply by grilling or steaming i.e. no frills, is going to be white wine with predominantly citrus flavours. When you prepare your salmon simply, it will typically be quite soft and you want to be sure you can taste the salmon so nothing too overpowering is key. A white-wine such as a Sauvignon Blanc or Sauvignon Gris work well here, look to New Zealand for floral notes and plenty of citrus and even a touch of sherbet. If you are roasting the whole fish other wines with salmon could be in the frame. For instance, you could try an unoaked or lightly oaked Chardonnay for a complimentary crisp flavour or if you can stretch, a French Chablis. Another wine that works really well is a sparkling rose. This will work wonderfully due to the high acidity and be a brilliant choice for serving later on with salmon sandwiches. If you are serving any of the above in a rich sauce, hollandaise is a good example, you’ll need something to cut through the richness of the butter, look for lower alcohol wines with good acidity. Rieslings work well as do dry sparkling wines or Grenache rosés. Ultimately wine for salmon is completely dependent on the way you serve it. As with everything, it’s about your personal taste so try a few different selections to find the perfect match for you. Tuna – Big fish. Big taste! Similar to salmon, the best wine with tuna will again, depend on your choice of serving. It’s an amazingly versatile fish. For instance, if you are searing the fish, you may want to select a red wine with tuna. Choose something from the Loire valley or even a light red burgundy. Both could be excellent choices. Are you seasoning the tuna? Wines with tuna that has been seasoned or spiced up need be more powerful so consider a fruity Pinot Noir to add a lot of extra flavour. If you’re exploring Japanese cuisine, you might be eating the tuna raw. For a wine to go with tuna that is served raw, Chablis once again is a good choice as it gives an edge of minerality but is dry with subtle flavours. Or, if you want to be a little bolder, consider a white Grenache, Verdicchio or Muscadet. If you want to be way out there try the best white wine you’ve never heard of… Txakoli from Northern Spain is a beautiful wine that will blow your socks off. How about something easy that you can cook at home like a tuna pasta bake? What is the perfect wine for this stalwart light evening meal? Since the meal is cheesy and creamy, you again want something lighter. A Chardonnay could prove to be the perfect pairing French rather than Australian as you don’t want the fruit to overpower the fish or too much alcohol, it’s a school night after all! Prawns – Beautifully pink and tasty! Prawns are a lovely dish for a starter or even as a main meal. They reached their zenith in the 70’s being served with a bit of limp iceberg and a gloopy pink sauce, (kids, ask your parents..) but there are a variety of different ways you can eat prawns these days. Each are delicious choices in their own right. But what is the best wine with these little pink beauties? Well if you’re serving Spanish prawn dishes or something similar to paella, your dish is going to have a lot of seasoning and probably a fair bit of spice. This will usually include garlic and saffron. With that many spices, a dish like this could certainly have a kick, so you want something to compliment the flavours but not walk all over them. Red Rioja works well, something predominantly made with Tempranillo is a great choice, also you might want to try a dry rosé, look for a rosé using Grenaché grapes, not too much fruit and low tannin is the key with this one. How about a lovely prawn cocktail before your evening meal with a beautiful Marie-rose sauce. An absolute classic! Try a fruity but dry rosé, again look for Grenache grapes. One of the benefits of this selection when looking at wines with prawns is that the colour of the wine matches the dish. Alternatively, a prosecco could be another fantastic option that will pair with the prawns beautifully make sure it’s a brut. And if you can pull the two together you are on to a winner. Or, if you are keeping it simple and want to get stuck into a bucket of prawns in the shell try a mug full of Albariño or a crisp Riesling. Both will have you smiling from ear to ear! If you’ve enjoyed this fishy post please share it with your shoal….sorry I’ll stop now! 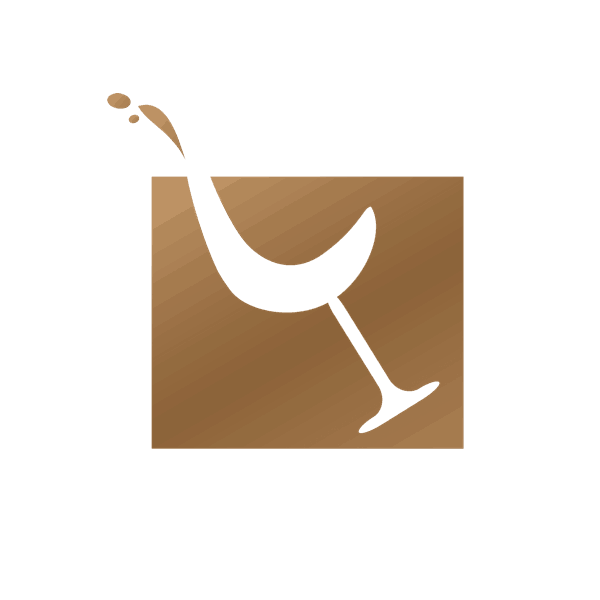 This entry was posted in Featured Products, Wine Info and tagged Fish, Matching wine with fish, Paella, Prawns, Salmon, Shellfish, Tuna, Wine with Fish.